Author: Luis Cabrejo, A computer expert and now entrepreneur, began his studies about connectivity and the lines of Nasca in 2003, when he worked as a Specialist of Connectivity on the National Council of Decentralization (CND: 2003-2006). Cabrejo was responsible for the Regional and Municipal Interconnectivity, through computer networks, carrying out technical studies for the elaboration of the Provincial and Regional Plans of System Development for the area of Decentralized Public Management. This, my first book covers completed research, from the first theory that I outlined, which was inspired by astrological enigma – astronomical, initiated by Dr. Maria Reiche and Paul Kosok. After several months of research, not being totally satisfied with the suggested hypothesis, I sketched out a second theory giving it a current theme closer to a natural need, where I propose my theory of the Tectonic Plates, whose use is totally feasible, but I did not find that it coincided with the anthropological reality of that epic, nor that of today’s time. After several years, by life’s irony, paying attention to various colleagues and anthropologist friends, I investigated a possible solution that could adjust itself to a global, coherent, and more immediate reality, and I found a hypothesis which was carried out primitively by an archeologist group who studied the lines before Dr. Reiche and Kosok, over the use of this complex (Mejía Xesspe 1942, Kroeber Collier 1998, Horkheimer 1947), in which they aptly deduced (without verifying in depth) that the complex had hydraulic purposes. The coherency of a theory should be yielded in all imaginable aspects to be able to confirm its validity. In general terms, the reality of the people researched is the same as the current village, it has not varied. The problem continues to even greater levels than those of that time. Today, water is considered a hydraulic resource of primary need at an international level, and in the future there may be warlike issues over this extremely important natural resource. This problem is not a new issue as we prove in this book that I have denominated, “The Nasca Code” because I understand that it may be the key to this natural hydraulic resource at very delicate levels and with the necessary precision required today due to the climatic changes we face. This history is based on a very ancient village of great hydraulic engineers, who resolved problems in the most desert-like and dry regions of the Peruvian coast, which was not overcome until the flow of the liquid element was definitely stopped. This story goes back more than 2,500 years, when for motives that will not be discussed, a village that enjoyed the vital liquid was progressively dispossessed until they had no other option but to migrate to regions where water still exists presently. The greatness of my research is that I note on the lines centuries of work, with more hits than misses. The misses were a result of factors of the terrain. The hits came from the wisdom of engineers that without topographic tools or heavy machinery, they canalized the liquid element the best that they could, the base of the agricultural organization of this culture. Errors on the pampa exist; it was a question of trial and error, the arduous labor of the engineers to calculate the angles of inclination by which the liquid flowed, is surprising. We are speaking of various meters of elevation to less than one meter of inclination by various kilometers in length, made manually, where only now with satellite instruments can I validate the base of my research (thanks to Google Earth). I emphatically believe that the Andes, and almost all of the displayed hydraulic engineering in Nasca, were a fundamental tool to understand the marvels of the Inca Reign. Nasca maintained this hydraulically connected system for hundreds of years, to the breaking point, where water could no longer be transported over long physical distances (mass and gravity), with all the works and carried out lines, inevitably the liquid stopped flowing among the basins. There should exist an interdisciplinary council that dedicates itself to the study of these themes. Private or government institutions on their own do not have the qualified personnel to be able to decode all of the enigma that need to be solved, like Inca writings, quipus, ceques, connectivity, and imperial math, among many more. 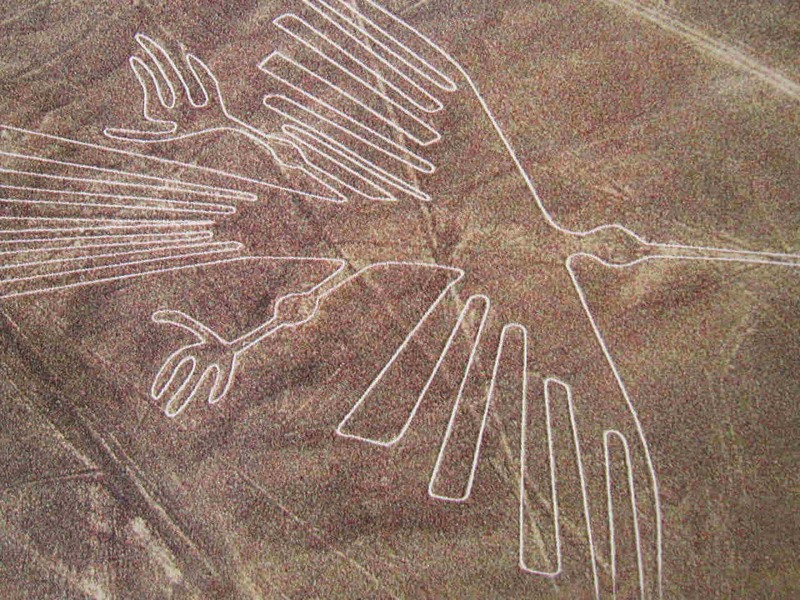 I have used many factors to solve Nasca, and the information from the works of many archeologists has helped me to embark on the right path of geometry and hydro-connected systems. I should not assume that the Archeologists possess knowledge of Inca systems and connectivity to resolve these problems, as it is not their area of specialty, but we need to study it in conjunction with archeological remains to decipher in “a group of intellectuals” that the “brainstorming imaginative” has more chance of resolving whatever enigmatic problem such as the one in Nasca.